The PDTec AG offers well-engineered standard software for integrating data, processes and systems. 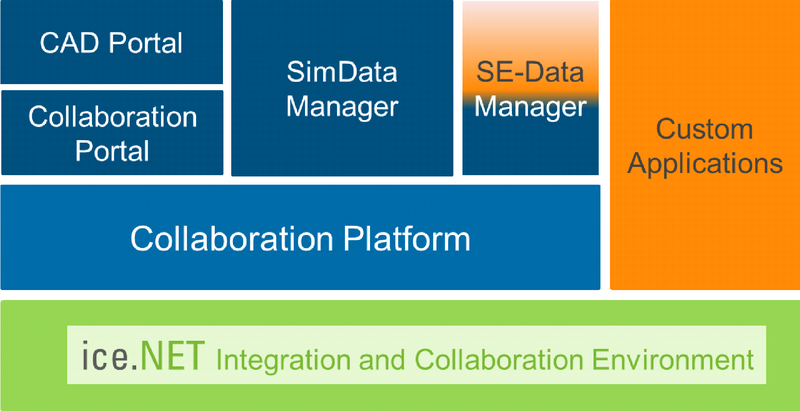 ice.NET as common platform for various data management applications. High synergy and quality through re-use of components between multiple applications. Sophisticated software components are used in different disciplines and application scenarios. Optimizes the management of CAD structures and associated product structures and metadata. A software platform basis on which information systems, data warehouses, portal solutions and “Collaboration Spaces” can be efficiently and sustainably implemented. Provides an efficient and secure permanent access to all relevant data simulation over the entire CAE process chain. A flexible integration platform that supports the consistent use of product and process data across system boundaries. The PDTec AG is your partner for a holistic-oriented introduction, adaptation and application of methods and systems for information processing.